We have a far better record at getting people into PSE than other countries that have free tuition (e.g. Germany and France). I do not see the case for subsidising equally the children of billionaires and welfare recipients. Subsidizing tuition out of general tax revenues makes poor people subsidise those who will be wealthy. Finally Queens did a very interesting study a few years ago in which they compared the impact of lower tuition across the board vs putting it up but reserving 30% of the increase for scholarships and bursaries for low income students with good academic records. The second option was found to be significantly better than the first at improving access and equity. To see more of the argument, have a look at my Globe column of March 18th, 2016. 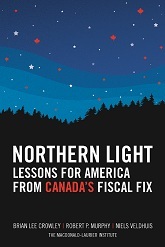 Aboriginal Canada and development: Get the narrative right! Is Aboriginal Canada, mired in poverty and poor education, nonetheless opposed in principle to doing anything to change their circumstances? You might be forgiven for thinking this if you read much of the commentary in the media surrounding the recent decision by one community to turn down over $1-billion in benefits from the proponents of an LNG facility on the west coast. But dig a little deeper and you quickly discover that in fact the reverse is closer to the truth and Aboriginal Canada is thoughtfully seizing many of the opportunities that natural resource development in particular is making available. They just want to make these decisions on their own terms. Read all about it in my latest column for the ROB’s Economy Lab feature in the Globe. Lost in the angst about income inequality is the fundamental point that the poor’s purchasing power is increasing all the time. Innovation is the chief explanation, as I lay out in my latest column for the ROB’s Economy Lab feature in the Globe. I am one of those people who thinks that the gap between the most and the least well-off is far less interesting than whether we are improving the lot of people at the bottom. One of the most effective ways to do that is to increase their purchasing power, which private sector innovation does more effectively and effortlessly than increases in government transfers.